Collagen is an essential protein that your body makes on its own to help with connective tissues in your body, and even on your skin, but the collagen often depletes as you get older and from outside influences. This is why many people have turned to collagen supplements to help with joint pain, improve their skin, and boost digestive health. While much of the collagen on the market is from animal sources, there are some options if you follow a vegetarian or vegan lifestyle. Why is collagen so important? Because it is necessary to keep your connective tissues healthy and strong, and without enough collagen in your body, you can experience a lot of adverse health effects. This might include early signs of aging with loose skin and wrinkles, gut issues, problems with the strength of your nails and hair, and pain in your joints and muscles. 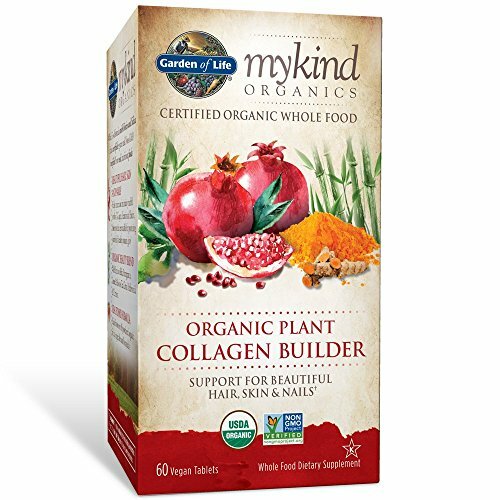 There are many benefits to adding in collagen supplements, whether in powder form or through plant-based food sources. You might not even realize that some o the health or beauty issues you are experiencing could be remedied with something as simple as collagen. Things like a poor diet and malnutrition, excessive sun exposure, and unhealthy habits could lead to a loss of collagen in your body, which is when you need to focus on supplementing it with outside sources. First of all, if you are a pescatarian, where you don’t eat meat or poultry, but you do eat seafood, this is a good option for you. There are different types of fish collagen supplements, including fish bone broth. This can be an amazing source of collagen for you, and keeps you from having to get it from plants. Another option if you are a vegetarian that eats dairy and eggs, is using eggs as your source of collagen. But don’t worry if you are on a strict plant-based diet – there are options for you as well. If you are on a plant-based diet, then you are going to get your collagen primarily from fruits and vegetables. The best way to do this is with produce that contains a good amount of vitamin C, like citrus fruits, some leafy greens, and bell peppers. These don’t have collagen in them, but they help to stimulate natural collagen production in your body. There are also plant-based sources of specific amino acids that collagen typically provides, such as glycine. Some foods with glycine in them include pumpkin, kale, kiwi, cucumber, and bananas.